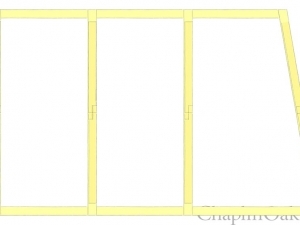 Next on the list is this extension frame, a simple open trussed garden room. The following isometric might not look quite right, but your eyes are not deceiving you. 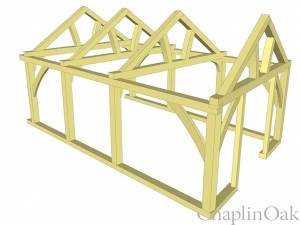 The gable end is not at 90° to the rest of the frame. This is because the extension is replacing an existing structure, following the footprint to keep this within permitted development. 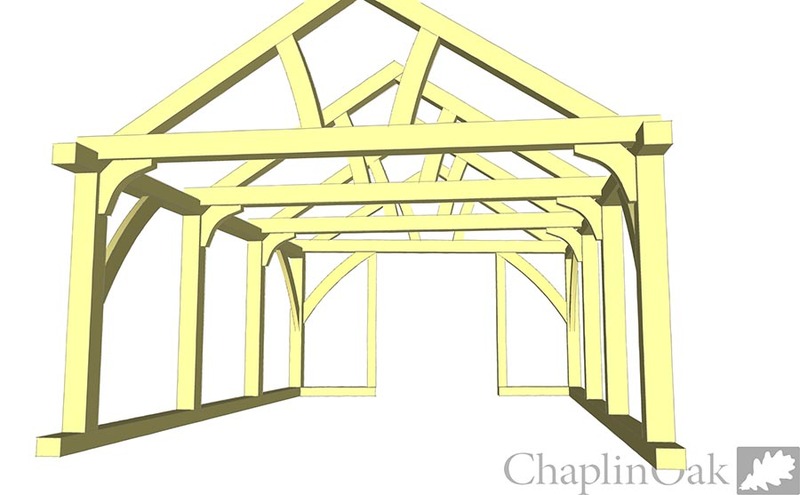 The technical challenge here is keeping the gable truss in the same plane within the roof at the other trusses. This required some trigonometry, to cross-check my boolean logic! 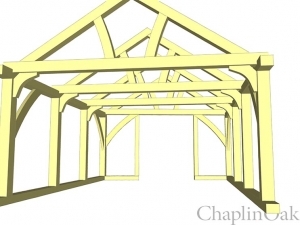 The gable truss has a bigger span, but the same ridge height, so a subtly lower pitch was calculated. 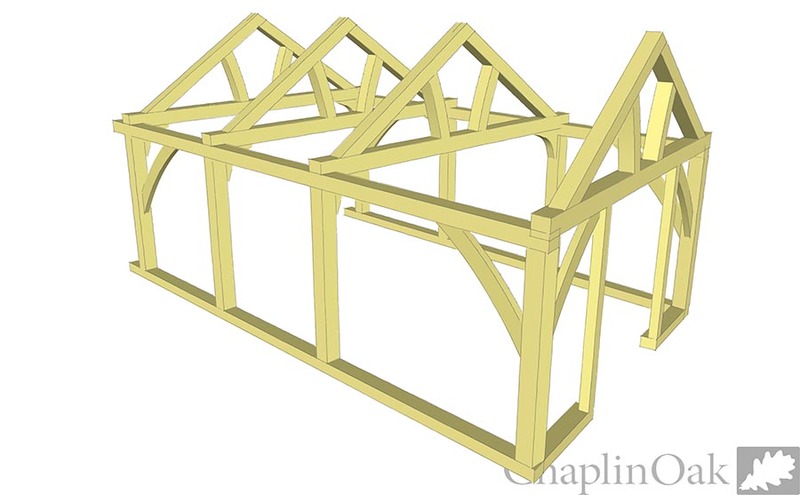 The gable end will eventually be glazed with French doors opening onto a decking over the pond. 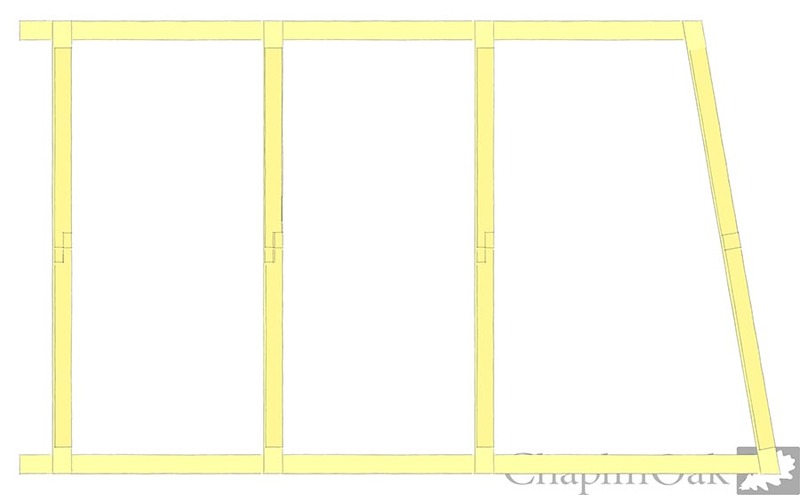 To maximise usable space, these small knees have been used for lateral bracing, as opposed to large diagonal braces.